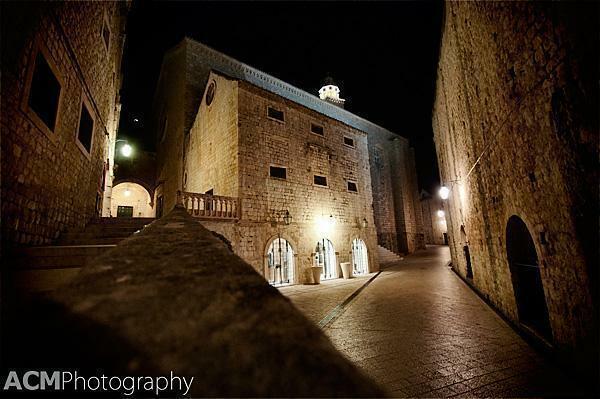 This entry is part 2 of 2 in the series Croatia and Bosnia. 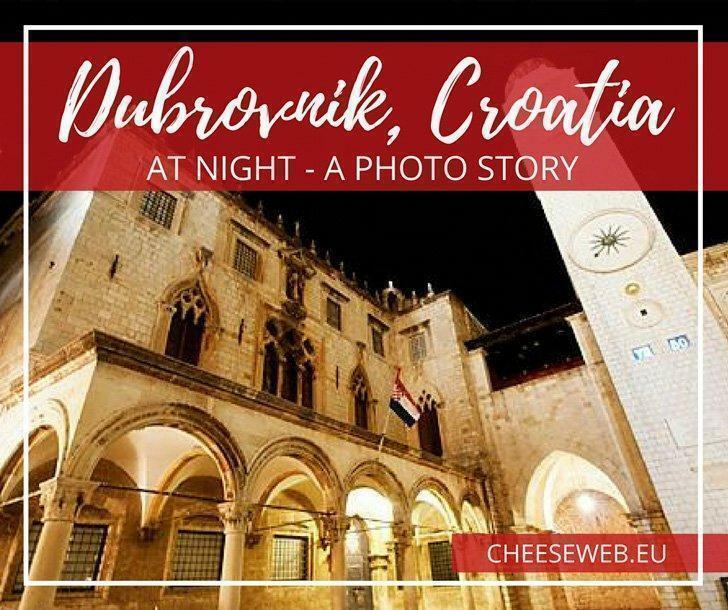 After spending a fabulous day in Bosnia Herzegovina, Andrew and I wanted to explore the city we came to visit – Dubrovnik, Croatia. 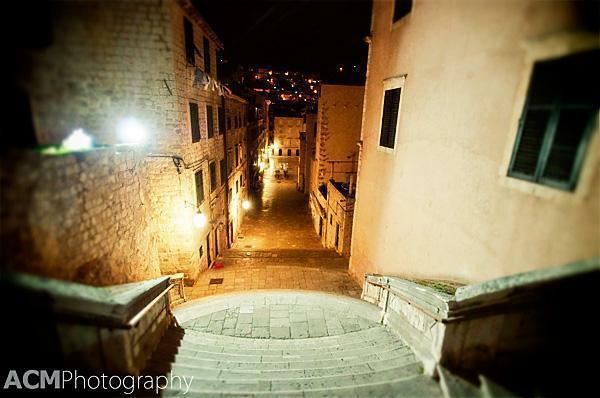 We discovered the best time for a stroll through Dubrovnik’s Old Town is at night. 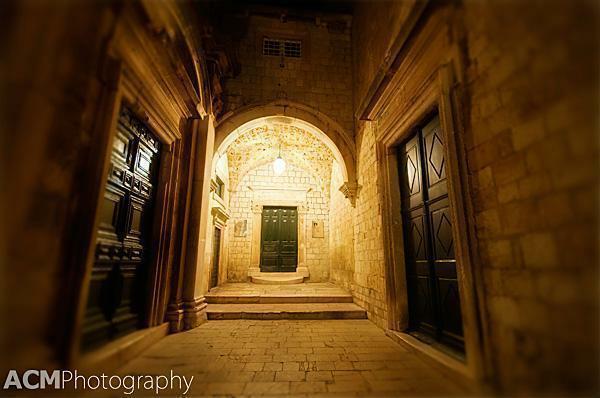 Our first real opportunity to wander the streets of Dubrovnik was in the evening. The Old Town is beautifully lit at night and, being off-season, we were virtually alone, on the winding little streets and alleys. We followed some of the city’s many cats through archways and up and down stairways. We strolled past churches and shops closed up tight for the night. 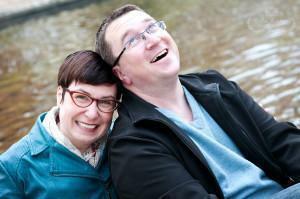 We even spent a blustery few minutes trying not to get blown into the sea. 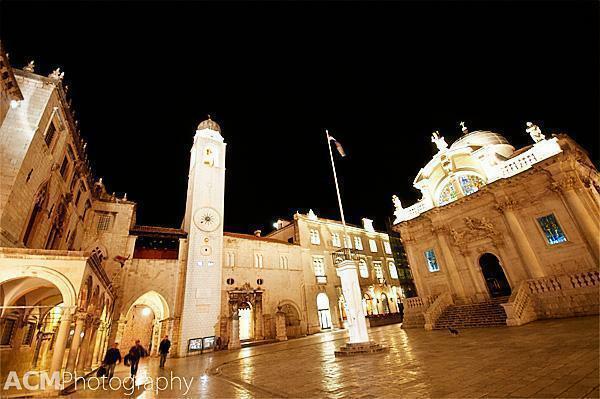 The beautiful Luza square is the end of Dubrovnik’s main street, Stradun. 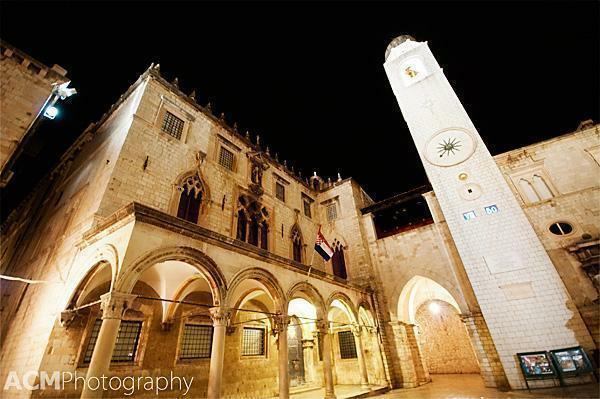 There you will find the Church of St. Blaise, named for Dubrovnik’s patron saint. 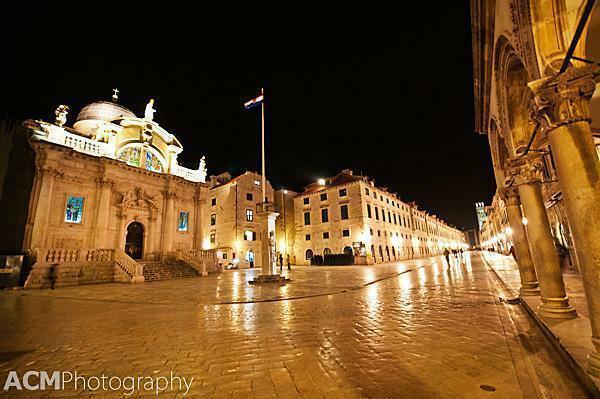 Church of St. Blaise, and a view of Dubrovnik’s main street, Stradun. 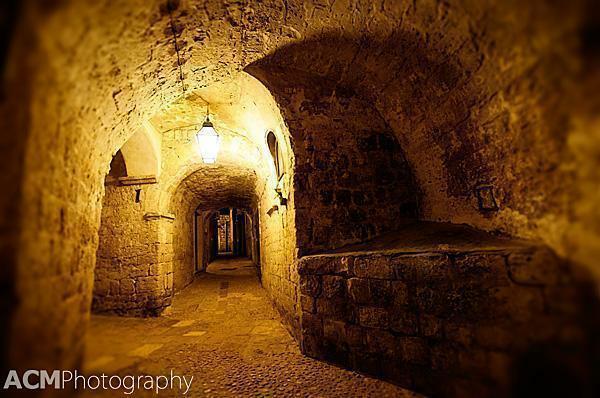 You will also find Sponza Palace, which was once a bank, treasury, mint and customs office. 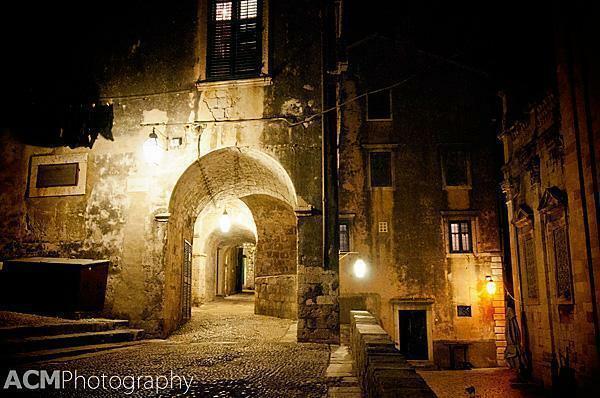 Beside Sponza Palace is the magnificent clock and bell tower that marks the entrance gate to the harbour. What’s the best city you’ve explored at night? Leave your answer in the comments below.